You are here: Home / Blog / Was Roger Hollis a British patriot or Soviet spy? Was Roger Hollis a British patriot or Soviet spy? John Wilhelm, Harvey Klehr, Raymond J. Batvinis, and Charles Twardy. 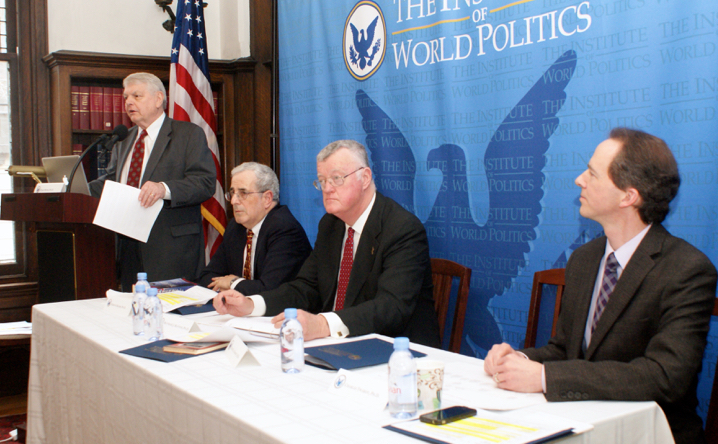 On Friday, April 10, 2015, I had the pleasure of serving on a six member panel in front of a packed audience at the Institute of World Politics (IWP) in Washington, DC. The title of the program was British Patriot or Soviet Spy? Clarifying a Major Cold War Mystery. Our mission was to take a fresh look at a seven decade old controversy that continues to swirl around Sir Roger Hollis (1905-1973), a counterintelligence officer and veteran of the British Security Service (BSS) who eventually rose to the rank of Director General. As the title suggests, we were charged with applying our professional experience to the question of whether Hollis was a loyal citizen of the United Kingdom and honorable government servant or a traitorous GRU mole. The moderator, John Wilhelm, spent time as a naval officer and intelligence specialist before starting a long career as an award winning journalist. Today he owns and operates the WILHELM Group, Inc., a private communications company in Washington DC. Dr. David Charney is a psychiatrist and founder and Medical Director of the Roundhouse Square Counseling Center in Alexandria, Virginia specializing in the treatment of Anxiety and Mood Disorders, and Attention Deficit Disorders in adults. He has also served as a psychiatric specialist for the legal defense teams representing such American spies as Earl Pitts, Robert Hanssen and Brian Regan. Last year he published NOIR, a controversial study, which offers innovative recommendations for managing the problem of the insider spy. Dr. Charles Twardy was our panel’s third member. A dual Ph.D in History and Philosophy and Cognitive Science from Indiana University, Charles works at George Mason University where he applies his expertise to the study of evidence and inference with special interest in causal modeling and Bayesian networks. 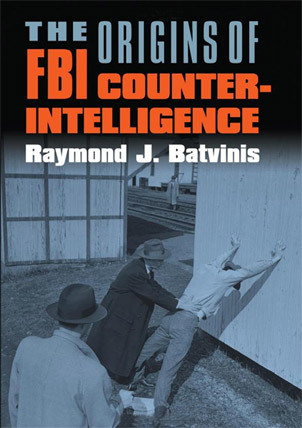 His 2004 article on Argument Mapping has been cited repeatedly over the years along with his report on Bayesian methods for intelligence analysis written in 2009 for the National Research Council. Rounding out the local panel was Dr. Harvey Klehr, the Andrew W. Mellon Professor of Politics and History at Emory University in Atlanta, Georgia and a renowned expert on American Communism and Russian espionage. Dr. Paul Monk joined us by Skype from Melbourne, Australia. Paul is a critical-thinking skills expert and a partner in van Gelder and Monk Pty Limited which specializes in business, policy decisions and deliberation architectures. Over the past two years or so he has carefully extracted all the salient facts about Hollis from two major sources. The first is Treachery, a monumental examination of the Hollis case written by the late British journalist Harry Chapman-Pincher. The other is Defend the Realm authored by Dr. Christopher Andrews, Chairman of the Department of History at Cambridge University and the Official Historian of the BSS. Employing a new methodology called Argument Mapping, Paul summarized his findings using a series of eight highly detailed maps which were displayed for the panel and audience alike (which can be found here: Report and Chronology). 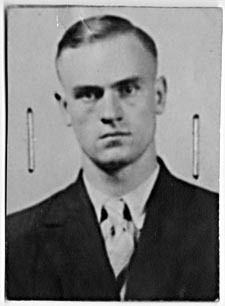 His program opened with Igor Gouzenko, the GRU code-clerk who defected in 1945 from the Soviet embassy in Ottawa, Canada. Among the staggering collection of secrets that he provided to his British, Canadian and US debriefers was the claim that in 1942 a GRU colleague in Moscow briefly described a spy codename “Elli” inside “Five of MI”. This remark coupled with other evidence gathered over the following decades narrowed the focus to Hollis. Each panel member was given ten minutes to offer comments and critiques. After seven decades, scores of investigations, articles, books and a prime minister’s comments in the House of Commons the debate over Hollis’s guilt or innocence rages on. I assure you that our panel solved nothing. After so many years of controversy, however, attitudes have hardened and facts have gradually blurred with supposition and theory. Our panel reminded everyone of the importance of continued skepticism. It also suggested a reexamination of the entire Hollis case with fresh eyes applied to old evidence and new material released since the end of the Cold War. 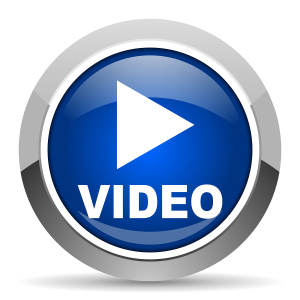 The entire program is now available in ten parts on video which can be found here or below. 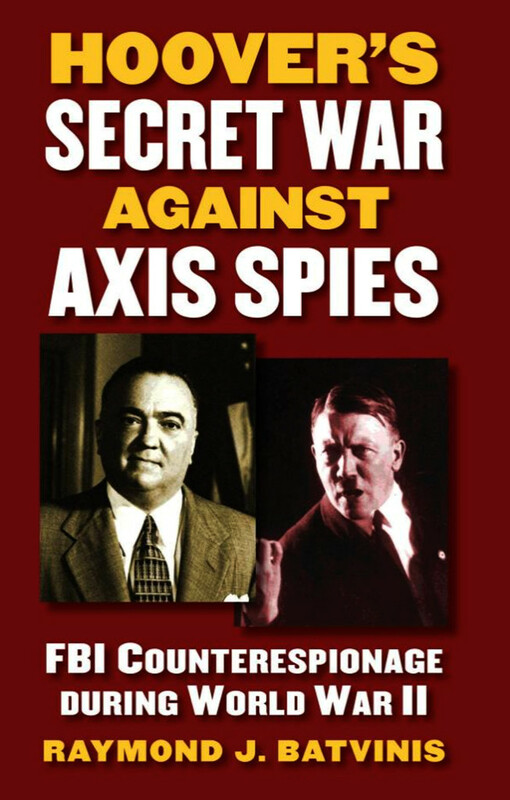 If you are interested in Intelligence history and Cold War politics than I think you’ll find it interesting. I urge you to watch.